We can't let a typo/mistake from someone go by without covering it, right? After all...we *are* the Truth Team, right?!? 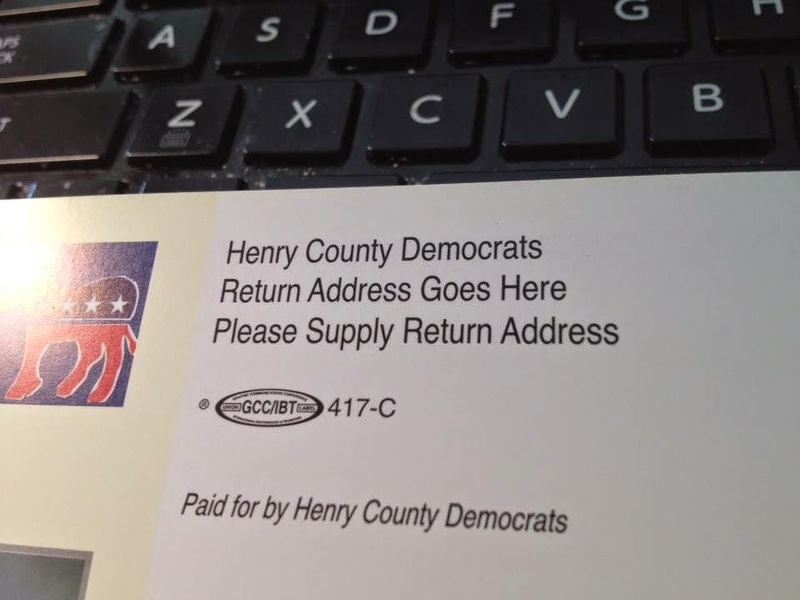 Well...check out the Henry County Democrats mailer above. They got their Union bug in there, but didn't pay attention to the address lines?!? Whoops. Guess they have the same campaign staff as the Mike Frerichs for Illinois Treasurer campaign. They both must have not filled that role for a copywriter/proofer that was posted on Craigslist earlier this summer. Bummer. H/T to the Goliath Slayer!